These are my secret weapons, the only tools or products that I recommend. Not only have I used them all, but these are also the only ones I use every day. These products give me natural all day energy and have helped me train harder, heal faster, and feel younger, month after month. Most of the products I recommend come from healanything.com (or its sister site, Markusproducts.com). This is the only site I trust everything they sell. I trust everything that Markus Rothkranz sells because his products are quality based, he researched and sought out the healthiest plants in the world to be super healthy and live a long life full of energy. Every supplement is a whole food, vegan, organic, and plant-based, and without any fillers or preservatives. Markus Rothkranz inspired me with his book Heal Your Self 101 and his Youtube channel to take my health seriously. He showed what is possible. The most important thing is that your body is intelligent and can heal itself, all you need is to give it what it needs. It is as simple as that. The purpose of my blog is to share how you can give your body and mind what it needs to thrive. And the first thing I recommend is reading Heal Yourself 101, I believe that you can download the book for free in the link below. Wild Force Plant Protein has the highest vegan protein sources in the world. This is the perfect protein source for both vegans and non-vegans. This product is for those want to take their health to the next level or build serious lean muscle. I started using this protein powder and Markus’s Green Formula, and Vitamin C in May and I’ve never had more energy or power in my life. The effect does not fade over time, the longer you use it the better you feel. I can go to the gym and train harder and lift more consistently. This even tastes good, almost like vanilla, one of the ingredients. Wild Force Green Formula has dozens of organic and wild greens in one serving. Because they are dried and grounded into a powder, you get more greens in one serving than you can eat in a meal. This is the easiest way to eat the healthiest plants in the world grown in the wild. Wild plants grow in nutrient-rich soil and drought conditions. This means that their roots dig deeper into the soil. The greens you find at the market are grown in nutrient depleted soil, picked unripe, and lose most of their nutritional value before you even buy them. Because Wildforce Greens are dried, their nutrients are preserved. The easiest ways to eat your greens is to add powdered plants to a meal or a smoothie. Click here to check the current pricing on Amazon or learn more about this product and similar products. The Green Formula has a strong taste, that’s because it is good for you. When combined with Wild Force Plant Protein and Vitamin C you won’t notice the taste. Wild Force Vitamin C contains the highest natural sources of vitamin C in the world including gubinage (the highest source of vitamin C in the world), pine needle, acerola berry, amla berry, sea buckthorn, watercress, rose hip, guava, and lemon and orange peel pith). This is better than any vitamin C supplement because it is whole food based. Wholefood means that all of the vitamins, minerals, phytochemicals, and hormones are working in synergy and are easily absorbed and assimilated. Isolated nutrients found in most supplements is not useful to your body as you can not absorb it. 3 in 1 Green Protein Vitamin C is the easiest way to get your daily protein, greens, and vitamin C. I use this every day, and when it runs low I notice the difference. It gives me all day energy and helps me recover faster from tough workouts. Add it to whatever you are eating, I think it tastes good. Fish are known for being rich in Omega-3 fats, but there are vegan alternatives. Ground flax seeds and chia seeds are excellent sources of short-chain (ALA) omega-3s. And algae oil is the safest and most effective source of long-chain (DHA and EPA) omega-3s. Interestingly, fish get their omega-3s from algae. But even wild fish have toxic heavy metals and fats that promote inflammation and shorten telomeres. I use Vegan Omega 3 Supplement – Marine Algal Source of EPA & DHA Fatty Acids from Zenwise, it is the best deal I’ve found so far for vegan DHA (affiliate link). Amla berries (gooseberries) have over 200 times the amount of antioxidants as blueberries! The easiest way to increase the antioxidant power of any meal is to add amla berry powder. I add a little Amla berry powder in just about everything I eat, and it even makes the best natural mouthwash. check out the current pricing on Amazon. 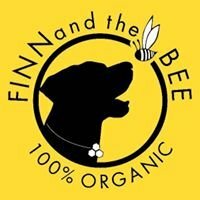 Finn and the Bee is a lip balm inspired by our dog and mascot, Finn. We wanted a healthy and effective alternative to the mass-produced lip balms on the market. So we made one. Our lip balm is unique in that it absorbs easily, is long-lasting, and doesn’t make your lips feel like they are suffocating. We are constantly thinking of new ideas. With your support, we hope to bring more healthy, effective, and responsible alternatives to the world. If you like organic lip balm, check out our products at Finn and the Bee. How Not to Die, by Dr. Gregor argues that a whole food, plant-based diet as the best diet for humans. Dr. Gregor uses the example of the biggest preventable killers and cites hundreds of scientific studies, to support his argument. Dr. Michael Gregor, inspired by his heart-diseased grandmother recovery on a plant-based diet, started NutritionFacts.org, Nutritionfacts.org has thousands of articles and videos on over 2,000 health topics. Their mission is to make health information available and affordable for everyone. Dr. Daily dozen is the 12 things (foods and exercises) you should eat or do every day. Gives hope that you can reduce your risk of the biggest preventable causes of death with a simple diet change. The first half of the book gives you the “why” for eating a whole food, plant-based diet, and the second half gives you the how. There are hundreds of simple and inexpensive health tips to take control of your health. Every fact is backed by scientific evidence. One problem with a plant-based diet is nutrient deficiencies. Dr. Gregor covers the foods and supplements you should take on a vegan or plant-based diet. Nutritionfacts.org is non-profit, and they don’t have sponsors or advertisements. This book is 562 pages long. If you are looking for a quick read, watch one of the short videos on nutritionfacts.org. One popular website criticized some of the scientific studies cited in this book and claimed that they cherry-picked their references. Nevertheless, the proportion of weak studies is insignificant overall. It is possible that Dr. Gregor is biased toward a whole-food plant based diet, and it may affect his recommendations. If you like meat, dairy, or fish, you will be disappointed. I highly recommend this book to anyone interested in improving their health. You will learn why you shouldn’t eat something to make your own decisions. The meat and dairy industries have deep pockets and political power. Further, there is a growing vegan junk food industry that sells a false sense of security. How Not to Die shows you how to navigate to avoid both and significantly reduce your risk of dying from the top preventable killers. Heal Yourself 101, by Markus Rothkranz is a step-by-step guide to overcoming almost any health problem. You learn how simple it is to heal when you give your body and mind only what it needs to thrive. You don’t have to do everything in this book to get the benefits. I started doing these steps one by one and within a few months of using some of the ideas in this book, I had more energy, my mind was clear, and I was pain-free! Watch the preview for Heal Yourself 101 by Markus Rothkranz. Most of the ideas in this book are free or inexpensive. These simple tips work and I use them almost every day. The ideas in this booked involve being in harmony with nature while also utilizing innovative technology. Markus shares what works, not what’s necessarily popular. Markus gives you hope that you can take your health into your own hands and not have to rely on expensive doctors or treatments to help you. Many ideas are based on anecdotal evidence. I wish that this book included scientific data to back its claims. Some of the ideas involve radical life changes that the average person may not be willing to try. Markus is well versed in natural remedies; however, he is not a doctor. I highly recommend reading Heal Yourself 101 and deciding if the ideas are right for you. Like Dr. Gregor, Markus warns you to avoid the processed “health food” industry altogether after you make your transition to real food. This book has helped me, and in my blog, I explore the science behind many of these ideas. Try one idea at a time and be patient, good health takes time. Do your own research and consult your health care provider before making any significant changes. Last time I checked, you can download his book for free! Follow the link below. The China Study represents the work of the largest comprehensive studies of nutrition ever conducted. The study was done by a partnership between Cornell University, Oxford University, and the Chinese Academy of Preventive Medicine over a span of 20 years. T. Colin Campbell, Ph.D., and his son, Thomas M. Campbell II, MD, authors of The China Study, analyze and discuss the data and make recommendations based on their findings. One of the most important insights from The China Study is that cancer growth can be turned on and off by raising and lowering doses of casein, the main protein in cow’s milk. Health statistics of Americans compared to the rising cost of health care. The results of a study of 367 variables, 65 counties in China, and 6,500 adults over a span of 20 years. Animal protein (meat and dairy) promotes cancer growth. Proper nutrition helps prevent carcinogens, like pesticides, from causing damage. Heart disease can be reversed on a plant-based diet. Proper nutrition with a plant-based diet can help reverse and prevent diabetes, obesity, autoimmune diseases, bone, kidney, eye, and brain diseases. Nutrition that is beneficial for one disease will support health in all areas. Highly processed and refined carbohydrates are bad for you, but carbohydrates found in unprocessed plants are healthy for you. You don’t need to eat meat, all the nutrition found in meat can be replaced with plants. In the study, those who ate the most animal-based foods had the most chronic disease. While those who ate the most plant-based foods were the healthiest. This book is very detailed and backed with 20 years of scientific data. It provides a simple solution to preventing and reversing chronic disease. Some argue that the study is biased towards a plant-based diet. This book has gained significant criticism from Paleo diet advocates, who question some of the findings of the study. This book recommends a significant lifestyle change, switching to a plant-based diet, or significantly reducing animal products. I highly recommend reading this book with an open mind and making your own decision on what diet is best for you. No nutritionist will argue that eating more unprocessed plant foods is good for you. This book also covers the nutrients most deficient in a vegan diet and a non-vegan diet. Whatever your diet is, make sure that you learn which nutrients you may need to supplement. Bluehost is the best web host and the only one I recommend for starting a blog. When you sign up you get a free domain! If you sign up please consider using my affiliate link.